Indian Sports Ministry recommended name of legendary Hockey player Major Dhyan Chand for highest civilian honor – the Bharat Ratna. The Minstry had already sent the letter to the Prime Minister in this regard. Recently, Indian government included sports person to be eligible for Bharat Ratna. By recommending Legendary Dhyan Chand’s name; Indian Sports ministry put an end to the debate about other names such as cricket great Sachin Tendulkar and Chess champiaon V. Anand. 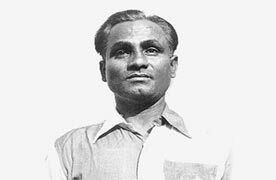 Dhyan Chand popularly known as “The Wizard” scored more than 400 international goals and played vital role in India’s Gold Medal wins during 1928, 1932 and 1936 Olympics.